Today, I was texting my good friend about a situation I was dealing with. I was hoping she would give me an answer, instead, she said, "Ask the Holy Spirit". As I began to pray in tongues, peace came. The situation that I thought was so big seemed so small after praying. 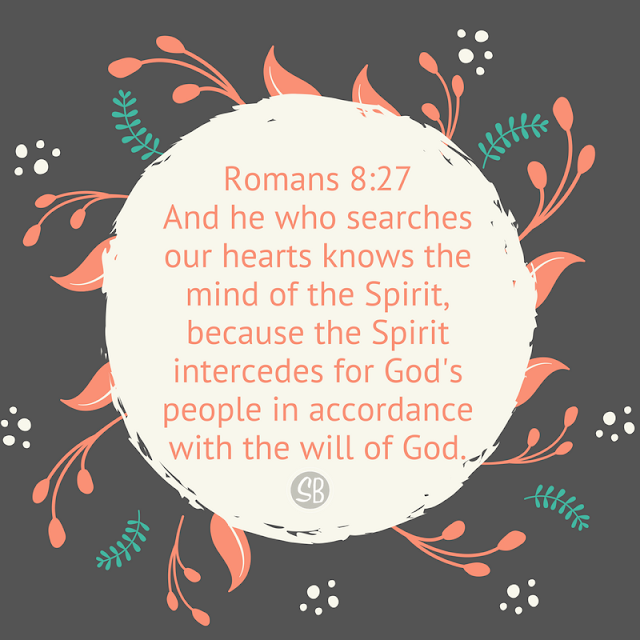 The Holy Spirit prays perfect prayers. He knows exactly what to say! I am thankful for a friend who gave me Godly advice! Instead of her telling me what to do, she pointed me to my Savior! She wouldn't have been able to give me the peace that the Holy Spirit gave! I am so thankful that I have the Holy Spirit, the Comforter, living inside of me. When you pray in tongues you are tuning in to what He has to say. It is AWESOME! Difficult situations begin to seem so small. Whatever you are dealing with, give it to the Lord, He has GREAT plans for you! Trust Him!